The interesting thing with the idea of going back to the start is that you’re never the same as when you started. You’re different. You’ve changed. You’ve been through stuff, you’ve learned, you’ve experienced. In my coaching days, one of my clients used the analogy of a high dive at a swimming pool to talk about pushing through things that were daunting. I loved that analogy and ran with it a bit for the sake of thinking through the process of starting new challenges and overcoming obstacles. You climb the ladder to the highest high dive you see. It’s scary and exhausting, but you climb. Not everyone will climb with you, some will cheer you on from the sidelines, some may laugh at you or call you crazy, some will do their own thing and never even see you. But you climb and eventually you reach the top of the ladder and you slowly walk out to the end of the board. You can see so much from up there. You stand there, staring out, looking down. The fear of jumping grips you. Some get scared and climb back down the ladder. Not you. Eventually, you take a big breath in and you jump. You feel the air, anticipate the cool slap of breaking through the water. When you come up for air, it’s not just air that you’re breathing in, you’re inhaling a huge accomplishment. You did it. You can repeat this process on the same high dive. The second time it’s still a little scary, but you’ve done it before so you know you’re capable. You can do it over and over. Sometimes the leap isn’t graceful. Sometimes you hit the water wrong and it hurts. You learn from the experience and go again. For some, this will be high enough. You become a master, you teach others how to do what you’ve done. You push the boundaries of all the variations and ways possible to jump from this one amazing height. Each time you’re standing at the base of another ladder staring up, it feels a bit insurmountable. As long as we start -one ladder rung at a time and don’t give up -you’ll eventually get to the top. Once you’re there the perspective shifts, the focus shifts. The climb is a little different each time. Each time you figure out how to get to the top as you go, but you rely upon skills earned from all your previous experience. Each time you reach the top, you’re tired but thrilled by the view. Each time you get that knot in your stomach as you look to the water and you decide if you’re going to jump or not. The closer you get to the edge the more you feel your heart beating inside your throat. You do it all over again. A few years back my friend Daniel Steinberg introduced me to Chris Brogan’s “3 Words Process” while we were experimenting with our own TinyChallenges podcast. I sat down to write yesterday because writing (again) is one of the things I want to do for myself in the coming year. I decided that one day out of every week in 2019 (Sundays) I would use my currently-dedicated gym time to write, that way there would be no excuse about not having time - the time was carved out two-and-a-half years ago and healthily maintained as gym time. I didn't foresee a swap-out of one thing for another being the challenge it was. It totally was, though. I did NOT want to get out of bed yesterday. Once I peeled myself out of bed I decided to write about 2018. I bored myself with my own words and thoughts after about 20 minutes and quickly distracted myself by checking-in on work. 3 hours later I was still working on work things that could've waited. I guess I'm a bit out of practice. While I'm discouraged that writing didn't feel wonderful and freeing and like the only thing ever that I want to do for the rest of my life, as it used to... this, like many things, will take me some time to rebuild a recurring practice around and I choose to be OK with that. I thought about my three words for a long time. At first, I had eight words and it was tough for me to focus on them long enough to prioritize them. I decided that today I will make time. So here's where I've landed (in no particular order). Since the launch and viral chaos of Picture This Clothing in August of 2016, almost everything else took a back seat. At first, the company completely took over our home. Eventually, we subleased a small space near our manufacturer, then in 2018, we took on a lease of our own and it's an amazing space! My home, however, has never fully recovered. My mind has never fully recovered. This year I will get a handle on the many bits that feel like a straight-up 10,000 lb glitter explosion. In prior years it was a goal to make more space in my life. I believe I have done that to quite a solid degree since I started that journey in 2013. Creating space, in my own definition, was about hugging-in and focusing only on what is important. Clearing out the noise. Saying "no" more so that there is space to breathe, feel, and exist with pointed intention. Now it's time to expand mindfully within the space I have carved out. I made the mistake last year of expanding too quickly beyond the space. While that had some benefits, it also had some enormous negative consequences. Hopefully, this has been a well-learned lesson that bears no repeating. Relationships require cultivating, care, attention, and presence. I want to improve my presence in the relationships I most value. Life is too short not to put more focus here. With the exception of slowing down over Christmas break, I continued my streak of going to the gym at least 4 times per week. I’ll hit the 3-year mark of this routine in May of 2019. Got an incredible office space and established our own manufacturing shop (we print, cut, sew, thread-clip, label, pack, and ship every single piece in-house) for Picture This Clothing free of any bank-loans or outside investment. Invited to Shark Tank. Went and failed miserably. It will never air but was a great experience. 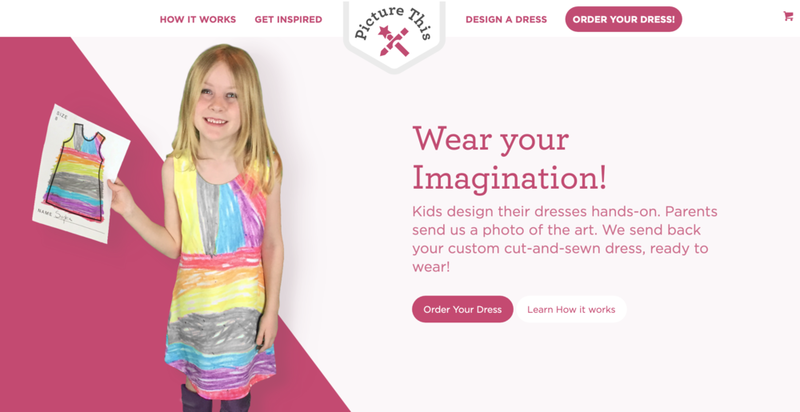 Experimented a ton (and had lots of fun) with videos for Picture This Clothing. As far as I know, my kids and Ken don’t hate me and I think they’re all amazing. Started speaking at conferences again.